One of the most popular plastic surgery procedures in the US is breast augmentation. Whether you are looking to get a breast lift, breast enhancement, breast reduction, or breast reconstruction, Dr. Crispin and his staff have the professional know-how to make sure you are happy with your profile for years to come. Dr. Mark Crispin understands the importance of a rejuvenated, feminine frame. Dr. Crispin is Board certified. While every patient’s bust is different, the operation and recovery time can vary. Dr. Crispin discusses the options that influence recovery time. Some of the factors include the kinds of incisions and the types of breast implants. Liposuction is a popular body contouring procedure that removes excess and fat stubborn from various areas of the body. There are different types of liposuction offered by Crispin PLastic Surgery to help accommodate every patient’s needs. These methods include SlipLipo, Ultrasound-assisted liposuction and Power-assisted liposuction. Dr. Crispin specializes in many trouble areas that may be difficult to get rid of excess fat. From a Georgia Tummy tuck to Buttock Augmentation and Body Lift, we have the professional expertise to make your visits as non-invasive as possible. The nose is one of the dominant features of the face. Dr. Crispin is skilled in providing nose revision surgery. You may be dissatisfied with your nose shape, size, or orientation. The good news is that we can fix all three. Through years of experience and training Dr. Crispin can give you a more symmetrical and balanced aesthetic. During a consultation with Dr. Crispin, you will discuss how you would like to improve your nose. Dr. Crispin will inform you of various aspects of the procedure, including what you can expect during recovery. Do you feel more lively than the reflection in the mirror? Oftentimes, we find that winkles and creases on one’s face can result over time. Luckily for you, we can help with that. BOTOX® is one of many options available for injection. There are 43 muscles in the face; when they flex often over time, wrinkles can occur. The active ingredient in BOTOX® Cosmetic is a sterile form of the botulinum toxin. BOTOX® is safe and contains no bacteria. At the injection site the nerves will temporarily block the nerves and prevent the muscles in the face from contracting. This promotes a more youthful appearance as wrinkles and creases are often caused by these muscles flexing. Dr. Crispin is an experienced, board certified plastic surgeon who is devoted to providing natural-looking cosmetic results. Combining almost 20 years of experience in Georgia plastic surgery with an artistic eye, he will customize your procedure to ensure a rejuvenated facial appearance suiting your unique look. 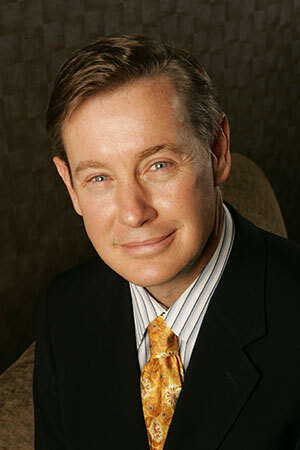 Plastic Surgeon Dr. Mark Crispin was born and raised in Atlanta, Georgia. He received his undergraduate and medical degrees from the University of Georgia and the Medical College of Georgia. He completed a general surgery residency at Georgia Baptist Medical Center and a plastic surgery residency at the Medical University of South Carolina. Following this, he was chosen out of numerous applicants to attend the prestigious Manhattan Eye, Ear and Throat Hospital for a one-year cosmetic fellowship, in which he performed and participated in hundreds of cosmetic surgery procedures with the pillars of the plastic surgery community. Since that time, he has served as teaching staff for numerous national and international plastic surgery meetings and is a member of the AO teaching organization which sets fundamentals in surgical principals for facial surgery. Plastic Surgeon Dr. Crispin is board certified in both plastic surgery and general surgery. He is active on the staff of St. Joseph’s Hospital; Northside Hospital – both the main campus and Northside Forsyth; Perimeter Surgery Center and is director of plastic surgery at Cancer Treatment Center of America (CTCA). He has been practicing in Atlanta, Georgia since 1995. His special surgical interests are cosmetic breast augmentation and mastopexy (breast lift), breast revisional surgery, cosmetic facial plastic surgery (specifically facelifts and eyelid surgery), as well as liposuction and abdominoplasty. He has an active injection practice of BOTOX®, Sculptra®, Radiesse®, and Juvederm®. His outside interests are his family, church, his books and the streams of North Georgia and North Carolina, where he has been fly fishing since he was a child. If you are interested in Georgia plastic surgery, please contact Crispin Plastic Surgery today to schedule a consultation with plastic surgeon Dr. Mark Crispin.